Do you work with multiple devices and operating systems? Me too. That’s part of the reason I access different tools for similar tasks. My MacBook is too old to use anymore, so I depend on my Chromebook for traveling– that little device is very powerful for being a browser-based operating system. And it’s why I use Chrome on my iMac — so my workflow to save ideas/websites from iMac to iPad/iPhone to Chromebook is pretty seamless using Google Apps. I seldom use Chrome on my iPad / iPhone and do use Safari there — but I can send articles on the web in Safari to Apple Notes, Evernote, or Google Keep. Google Keep? 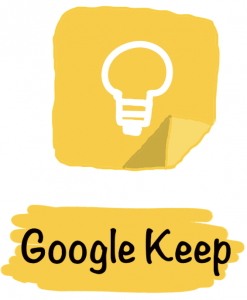 What is Google Keep? It’s pretty close to Evernote: it saves annotated notes for notes, websites, links, images, audio recordings, scanned documents– pretty much anything so you can save your sources and notes for later. Although it does not have notebooks like Evernote, it does use labels, and the search, like in Evernote, is fantastic — searching in scanned text as well as your written notes for any search terms you enter in the search bar. and on any device [iOS, Android]. Below is a note in Google Keep [and yes, you can edit images, as the note says, in Google Keep]. Google Keep is super powerful, although I still use Evernote because I’ve used it for so long; I love having both tags and notebooks to organize. With Google Keep, labels sort the notes as well as the powerful search of Google. How do I curate with Google Keep? 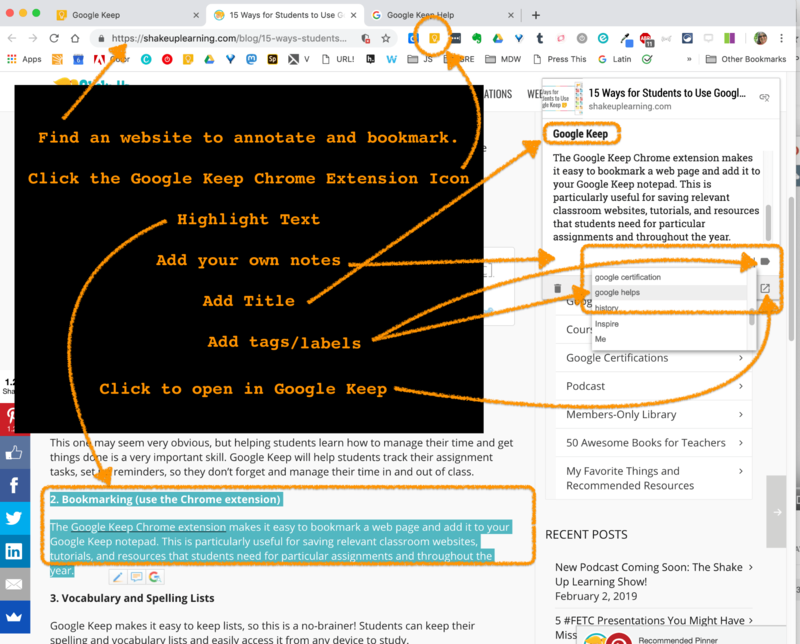 I use Google Keep to annotate articles and websites I save for my research. 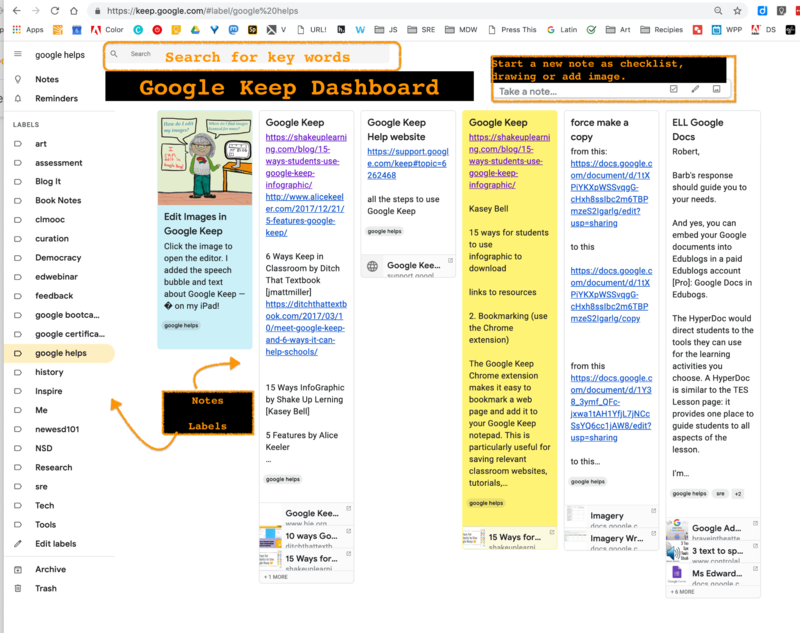 Google Keep can extend the curation process I’ve been using because it is now integrated into Google Suite. 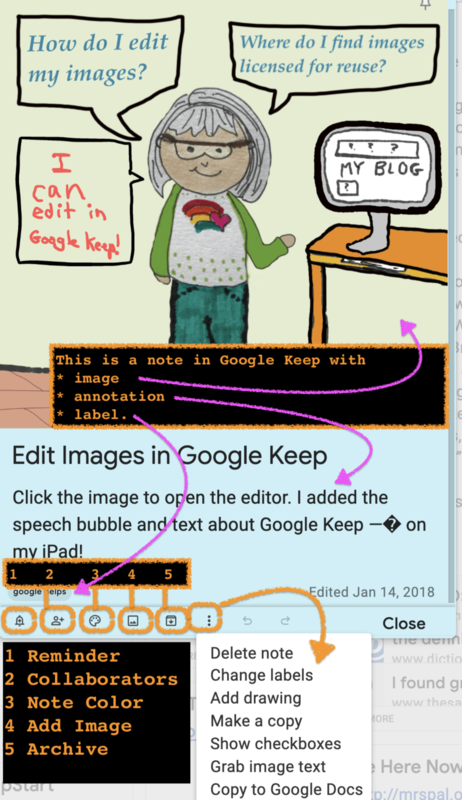 That means that Google Keep can be accessed within Google Docs to drag from a note or to save to a note, as in this gif from the Google Blog. 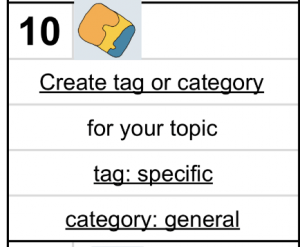 Google Keep has many tips and tricks; I learned a lot from Clint Stephens in his presentation video [17 minutes], including hashtags as a shortcut for labeling. I have much to learn about Google Keep that will add to my curation by integrating with Google Docs and my writing. What is your favorite feature of Google Keep? What strategy helps you organize in Google Keep? 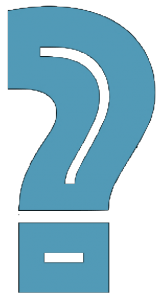 Which curation tool best fits your process?